Custom stationery - a modern, youthful stationery set featuring striped lines with a name in the middle. This is a fantastic letterpress notecard design for a teenager (or an adult who is young at heart!) 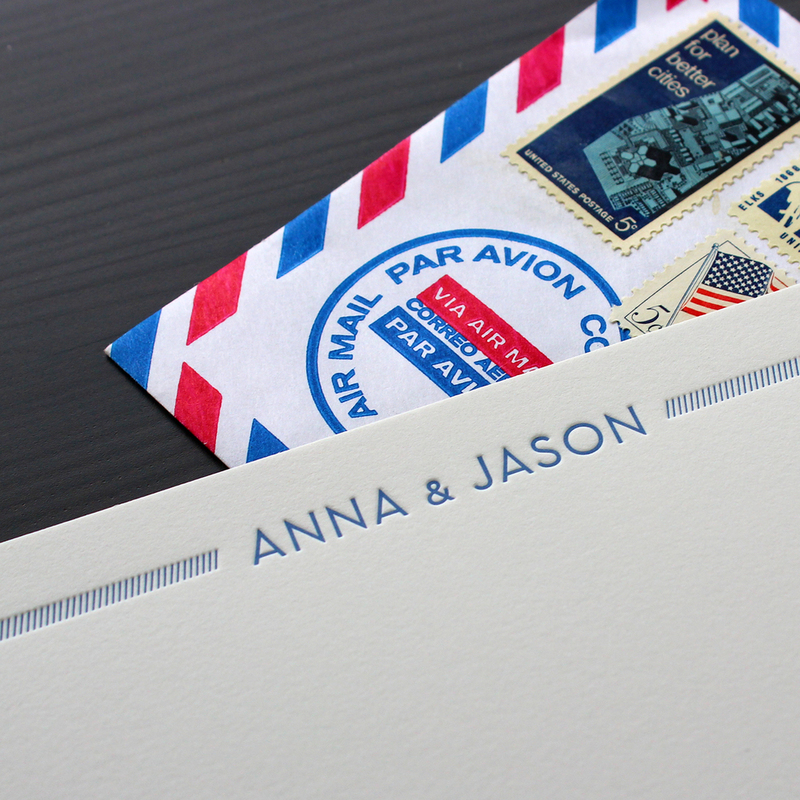 We adore this modern font and we think the stripes on each side add even more visual interest!